This is a nice example of a British made 1st Polish Armoured Division shoulder patch. The patch is in very good condition! 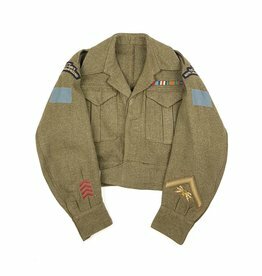 The tunic has printed/canvas 8LAA-RCA titles, CANADA titles and division patches with embroidered Corporal chevrons and overseas stripes. The booklet shows a lot of interesting history from the landing in France, into Belgium and the Netherlands. Roll of Honour and Awards. The original label is still present. 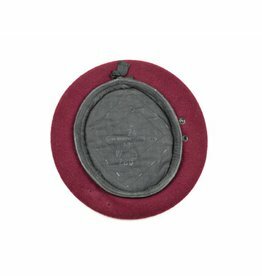 An iconic and full original British Airborne beret.